Enjoy an easy walk along the northern bank of Bald Rock Creek downstream to its junction with Ramsay Creek. In dry seasons, these creeks may not run. A must for wildflower lovers, this track is scattered in spring with superb wildflower displays. Flowering shrubs fringing the creek provide nectar for honeyeaters and parrots. Superb fairy-wrens, red-browed firetails and thornbills move through creek bank thickets seeking insects. 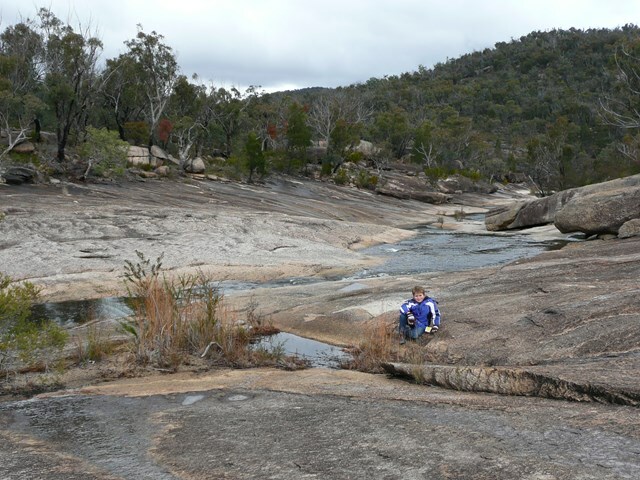 Girraween NP is situated approximately 260km by road south-west of Brisbane. 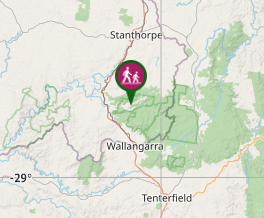 To reach the park, turn off the New England Highway 26km south of Stanthorpe or 30km north of Tenterfield onto Pyramids Road. The winding bitumen road continues a further 9km east through the Wyberba Valley to the park's Information Centre and day use picnic area. An alternative road from Stanthorpe to Girraween via Eukey and Storm King Dam has some gravel sections. 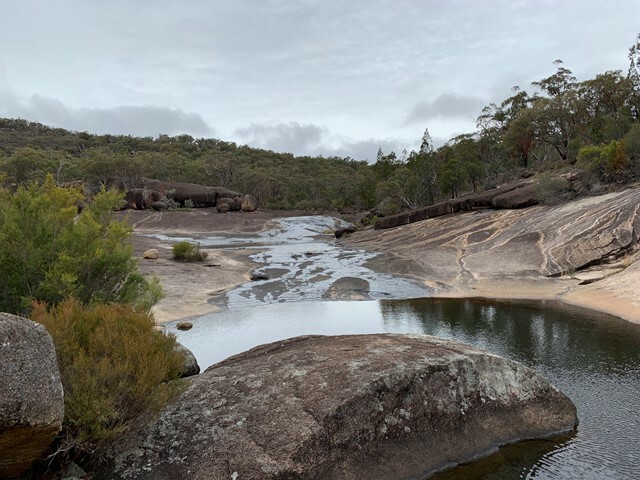 From the day use picnic area, head over the creek bridges as if you are going to the Granite Arch and then left along Bald Rock Creek Circuit. You then bear right onto the track, following the creeks northern side. The track is only defined as far as the rocky creek bed and from there on you crisscross the creek and scramble over the boulders as you work your own way down to the river junction. On your return, once you reach the Bald Creek Circuit, follow this to right, over the creek (if dry) and up through the campground to the roadway and left back to day use area. This walk shows you geology in the making! Prime examples of how wind and water has formed and continues to form the rounded boulder and left them sitting there ready to roll. How the mosses and lichen have worked their way into the cracks and crevices and caused slivers of granite to detach from the monoliths. 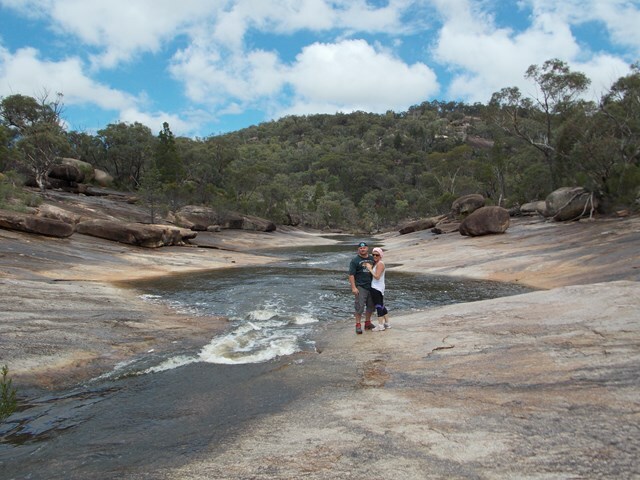 With so many bushwalking options in the park, why not take advantage of the excellent camping facilities at Bald Rock Creek or Castle Rock. Really enjoyed this. 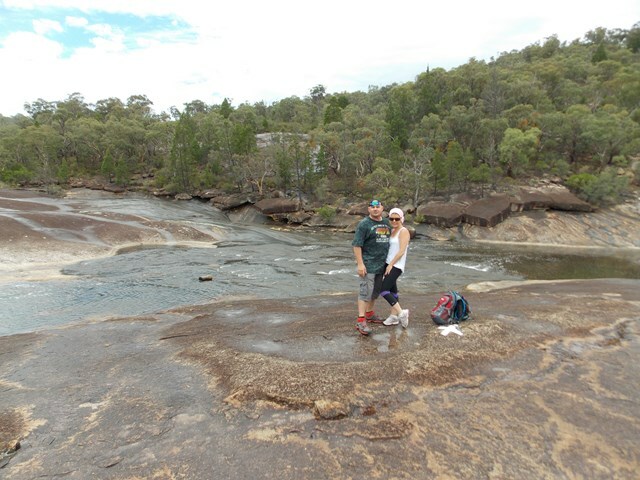 I loved the end junction part and exploring around the water filled rocks. It was drizzling so there was lots of birds and insects sounds and water babbling over rocks. A great little walk and because it had not rained, I was able to crisscross the creek as I wended my way down. 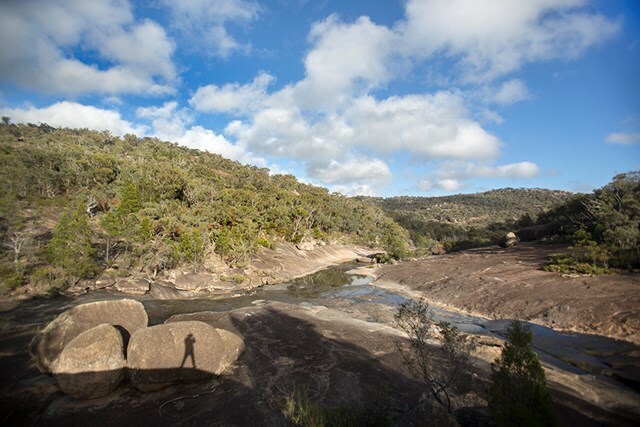 The following morning, after a horrendous overnight thunder storm, which included a lightning strike on the Pyramid, saw the creek full and running fast with no access across from the camp site. A pretty, easy walk. Quite a few kangaroos about and lots of beautiful birds. We went during light rain, and it was lovely to see so much water flowing. Take care on the wet granite, as it's very slippery. Beautiful walk. Really easy and fun to meander through after a bigger walk. Bring your togs! A very nice walk along very picturesque scenery. We were lucky enough to do this walk after good rainfall.